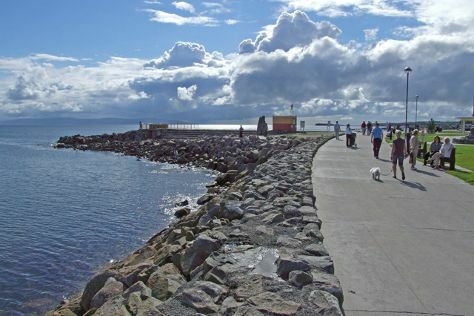 Kick off your visit on the 29th (Sun): look for gifts at Hazel Mountain Chocolates, look for gifts at Charlie Byrne's Bookshop, admire the landmark architecture of Galway Cathedral, then appreciate the extensive heritage of Salthill Promenade, and finally look for gifts at OMG Zhivago. On the 30th (Mon), you'll have a packed day of sightseeing: cruise along Wild Atlantic Way Day Tours and then explore the striking landscape of Burren National Park. To see where to stay, reviews, other places to visit, and tourist information, read our Galway trip maker website . If you are flying in from United States, the closest major airports are Dublin Airport, Shannon Airport and Cork Airport. In July, plan for daily highs up to 63°F, and evening lows to 51°F. Wrap up your sightseeing on the 30th (Mon) early enough to travel back home.